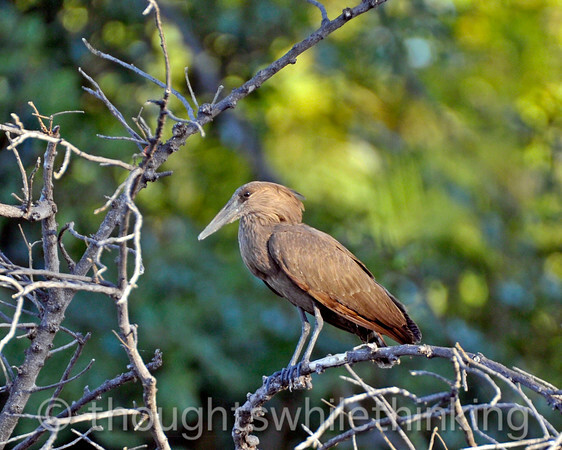 Hamerkop heron. This bird builds a large, globe-shapped nest in a sturdy river-side tree to which it adds material year after year. It becomes so huge that other birds establish apartments in it. Zambezi River tour from Toka Leya Camp.